MID Business, a strategic partner for Vitria, was recently awarded an “Innovation Space” award and invited to exhibit and present its project implementation at the largest Latin American event, Ciab FEBRABAN, for the finance and IT sectors. Over 136 exhibitors – including IBM, Microsoft, HP, CA, and Fujitsu – along with an audience of more than 16,000 people were in attendance to witness the awards ceremony. 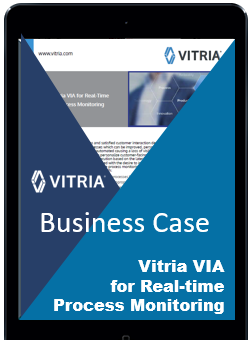 The Vitria Brasil Team was honored to attend the event at the request of MID Business in order to educate the audience on the emerging concept of Operational Intelligence and the benefits of Vitria’s Operational Intelligence platform.